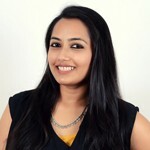 Stretch marks are very unsightly, and can sometimes ruin the entire look of that knee-length dress or sleeveless top you have been wanting to wear for ages. These ugly scars are usually seen on the abdomen, thighs, and upper arms. The causes include drastic and sudden weight loss or gain, a sudden change in the body size, hereditary factors, and stress. When the skin stretches, the skin’s collagen becomes weak and causes the formation of fine lines under the topmost layer of the skin. Initially, stretch marks are red or pink in color. With time, a silver, thin line occurs on the surface of the skin, which gives birth to stretch marks (1). But, there is nothing to worry about. There are certain remedies that can help prevent stretch marks and also reduce the appearance of old and new ones. There are many ways to remove stretch marks and, usually, a combination of methods works the best. Within a few weeks, you will notice those unsightly lines lightening and becoming less visible. Wondering how to remove stretch marks? Then this post is a must read for you! Given below are the effective home remedies for stretch marks removal. Prepare a mixture of all the ingredients and heat it till the beeswax has melted completely. Store this mixture in an airtight container in your refrigerator. Apply the mixture on the stretch marks and massage for a few minutes till it is well absorbed by the skin. Apply this twice or thrice a day. 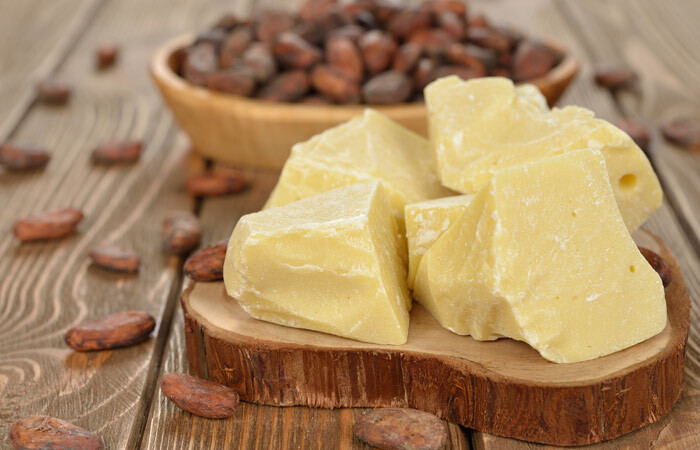 Cocoa butter is also quite effective for stretch marks. It will hydrate your skin and make it smoother. It penetrates into the deeper layers of the skin and replenishes and repairs damaged cells (2). You can also apply just cocoa butter on the affected area twice a day. After a couple of months, the stretch marks will vanish. Massage shea butter on the affected areas and leave it on. Reapply a few times during the day. 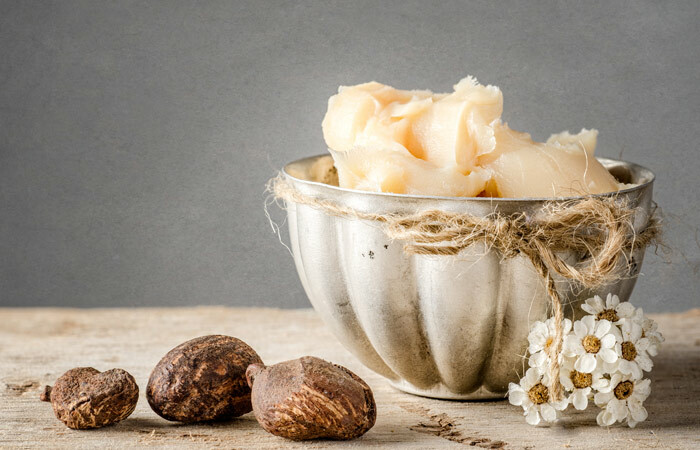 Apart from being highly moisturizing for the skin, shea butter possesses antioxidant and anti-inflammatory properties. Regular application will keep your skin healthy and repair any damaged cells (3). Take out fresh gel from an aloe vera leaf and to it, add oil from the vitamin A and E capsules. Mix well. Massage this on the skin until it is fully absorbed. Do not rinse. You can also apply only aloe vera gel. Leave it on for 15 minutes, and wash with lukewarm water. Repeat this once or twice a day till the stretch marks start fading away and vanish. Aloe vera gel is a wonder herb that is very beneficial for the body, especially for the skin. It is soothing for the skin and also fastens the healing process. This is because of the compounds glucomannan and gibberellin, which increase collagen synthesis and fade stretch marks. It also consists of essential vitamins, minerals, and enzymes that have antioxidant properties (4). Apply the vaporub on the affected area and massage for a minute or two. Cover the area with the help of cling wrap and leave this on overnight. Repeat this every night till the stretch marks fade away. 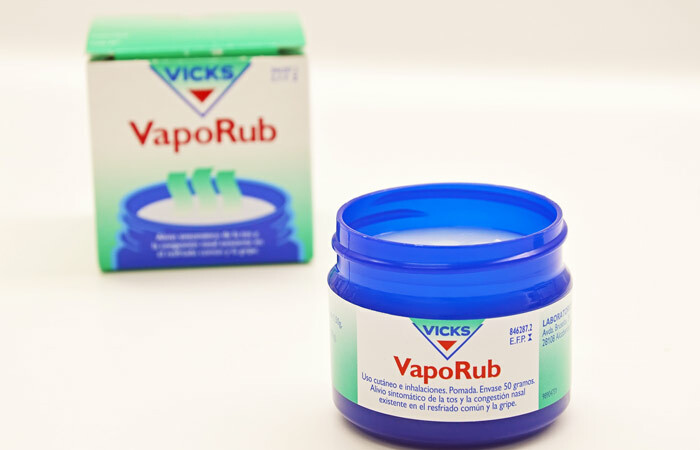 Vicks vaporub is composed of essential oils namely eucalyptus oil, turpentine oil, and cedar leaf oil. It also has camphor and petrolatum. All these work together to moisturize the skin and make it softer. Even though there is no scientific data to support this remedy, women around the world have noticed a 60-80% difference in their stretch marks by using this remedy (5). Warm the castor oil slightly and massage it on the stretch marks for 15 to 20 minutes. Do this every day before going to bed. 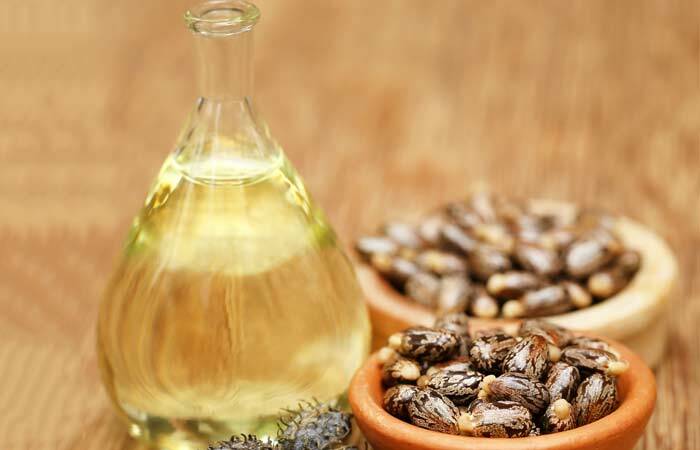 Castor oil is used frequently to treat skin diseases and hair fall. It contains ricinoleic acid, a skin-conditioning agent that fastens the healing of stretch marks and makes them appear a lot lighter (6). Cut open the capsule to extract the oil. Apply this oil on your stretch marks and massage for a few minutes. 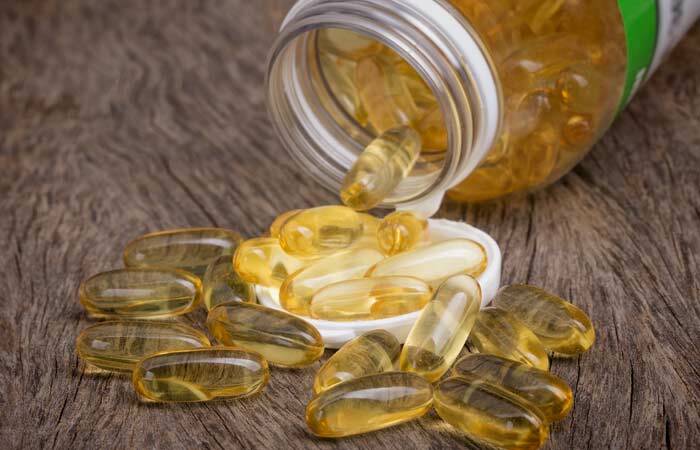 You can take a vitamin E oil capsule orally every day. Apply this oil twice or thrice a day. 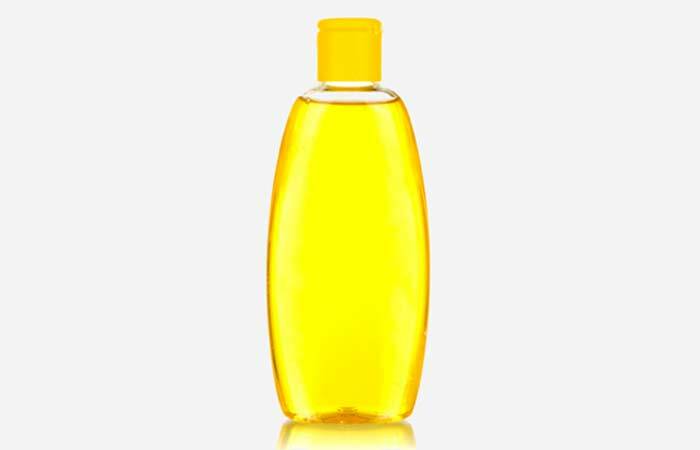 Vitamin E oil is commonly found in creams and lotions used to remove scars and prevent skin aging. 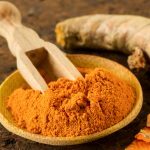 It has anti-inflammatory and antioxidant properties that nourish the skin, keep it healthy, and also aid in the process of healing scars and stretch marks. It also protects the skin from UV radiation to a certain extent (7). Lightly warm the oil and massage on the affected area for a few minutes. 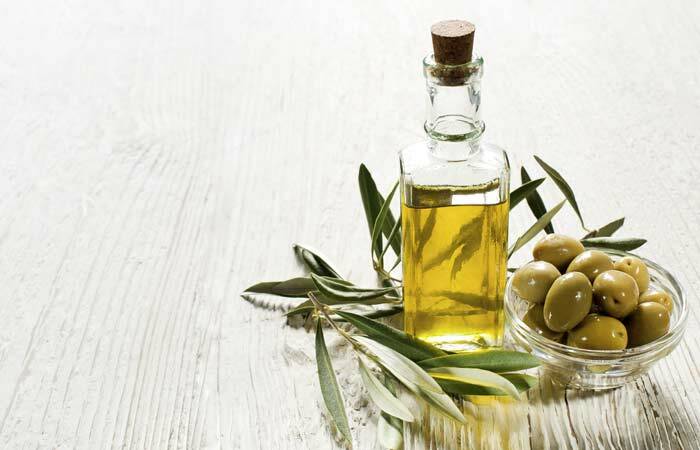 Olive oil is rich in nutrients, vitamins, and antioxidants. It is very healthy for skin and helps in relieving multiple skin problems like stretch marks. It has anti-inflammatory properties too (8). 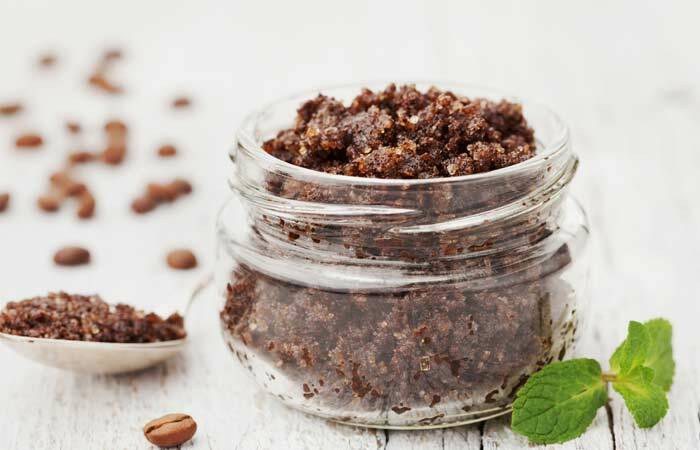 Mix coffee grounds with water to make a paste. Scrub this well over the affected area. Scrub in gentle, circular motions for three to five minutes. Rinse with warm water and moisturize. You can add a tablespoon or two of olive oil or aloe vera gel for better results. Coffee is rich in caffeine that has high biological activity and can penetrate the skin easily. It stimulates the degradation of fats under the skin and also has antioxidant properties (9). The gentle scrubbing motion will also enhance the blood flow in that area. All of these work well together to lighten stretch marks. 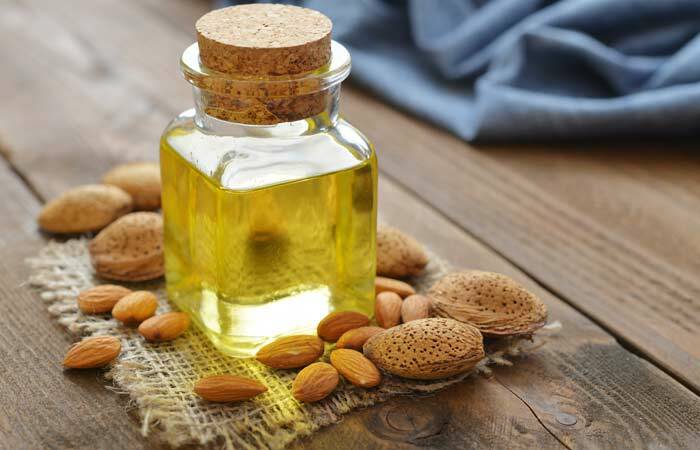 To the sweet almond oil, add a few drops of your favorite essential oil and mix well. Heat for a few seconds and apply all over the stretch marks. Massage in a circular motion for a couple of minutes and let it dry. Almond oil contains vitamin E and essential nutrients that nourish and heal the skin quickly. It has been proven to reduce scarring, smoothen the skin, and improve the complexion (10). Mix all the ingredients to make a grainy scrub. Massage this onto your skin for 8-10 minutes. Wash with warm water and moisturize as usual. Sugar acts a wonderful exfoliant and helps in the shedding of dead cells. It also improves circulation and enhances the healing capacity of the stretch marks (11). After taking a hot shower, pat your skin dry and apply baby oil on the affected area. Massage well so that the oil gets absorbed into the skin. Let the oil dry naturally. This usually takes a few minutes. Use the oil every day after taking a shower. Baby oil consists of vital nutrients that will nourish your skin and keep it soft and supple. It will prevent the appearance of future stretch marks (12). Mix the baking soda with the lemon juice to form a paste. Apply this on the affected area, wrap in cling, and let it sit for 20-30 minutes. Remove the wrap and wash with warm water. Apply this every day for quick removal of stretch marks. 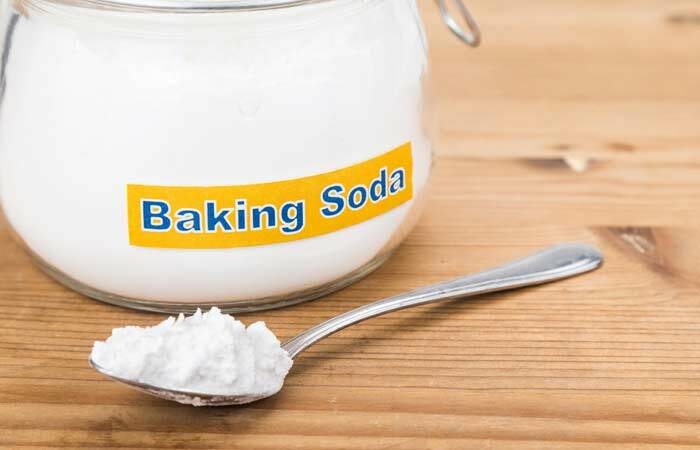 Baking soda exfoliates the skin and removes the dead skin layers, thus lightening the stretch marks (13). Mix the essential oil with the carrier oil and massage on the stretch marks. Let it get absorbed by the skin and leave it on. Apply this twice a day. 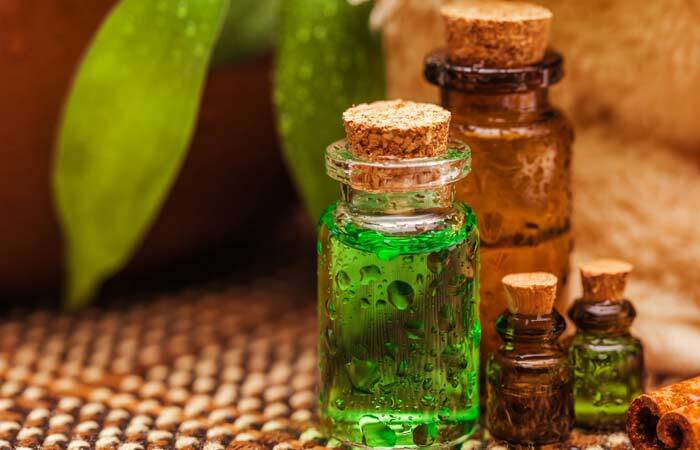 The benefits of tea tree oil are many. One of the lesser known benefits is its ability to fade stretch marks and scars. It also has anti-inflammatory properties (14). Apply this oil on the stretch marks and massage for a minute. The oil gets easily absorbed into the skin. Do not wipe away or rinse. Do this religiously twice a day to get rid of stretch marks. 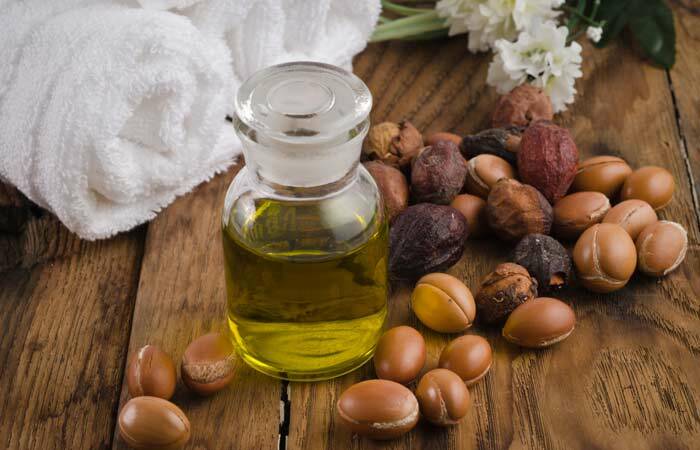 Argan oil is extensively used in cosmetic products for its varied benefits. It has antioxidant properties and is rich in vitamin E. These nourish and heal the skin, and at the same time, diminish scars and stretch marks. The collagen and elastic fibers of the skin are rejuvenated by argan oil application (15). Apply the liquid on the affected area and let it dry. Repeat this every day, preferably before going to bed. This chemical is easily available in a medical store and is considered safe to apply, even during pregnancy. It increases the collagen in your skin, making it more elastic and healthy. This will fade away your stretch marks (16, 17). Do not go out in the sun after applying this as it can cause sunburns easily. If you cannot avoid stepping out in the sunlight, protect your skin with the right gear. Apply lemon juice in circular motions on the stretch marks. Let it get absorbed by the skin for about 10 minutes. Rinse with warm water. Apply a moisturizer. You can also add a tablespoon of cucumber juice and one to two tablespoons of gram flour to this and make a paste. Apply this on your skin, let it dry for 10 minutes, and rinse with warm water. Using lemon juice is another simple way to lessen stretch marks. 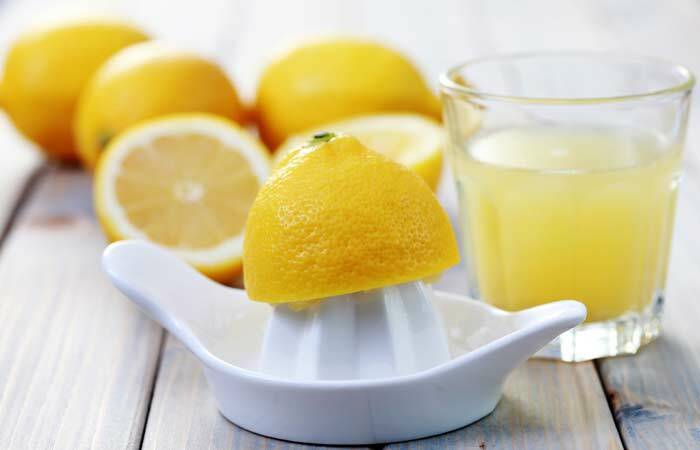 Lemon juice is naturally acidic, which helps heal and reduce stretch marks, acne, and other scars (18, 19). Pour the apple cider vinegar into the spray bottle. Spray it over your stretch marks before going to bed and let it air-dry. Wash thoroughly in the morning and moisturize the skin. Do this every night before going to bed. 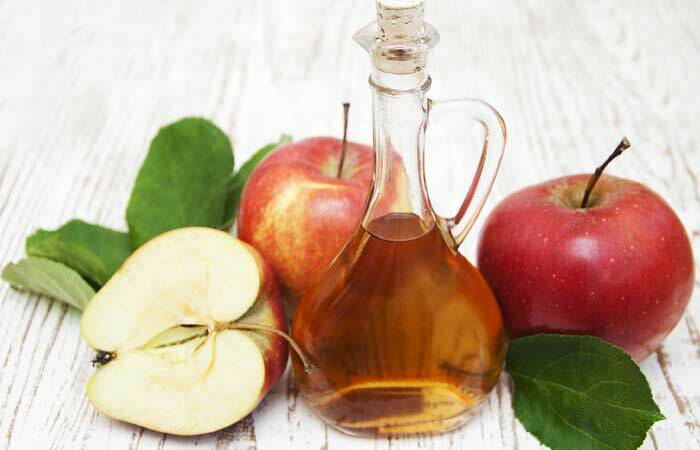 ACV is rich in acetic and malic acid, which aid in lightening the scars (20). Mix the turmeric with the cream or yogurt to form a paste. Apply this on the stretch marks and let it dry for 10-15 minutes. Repeat this twice a day to fade away stretch marks. 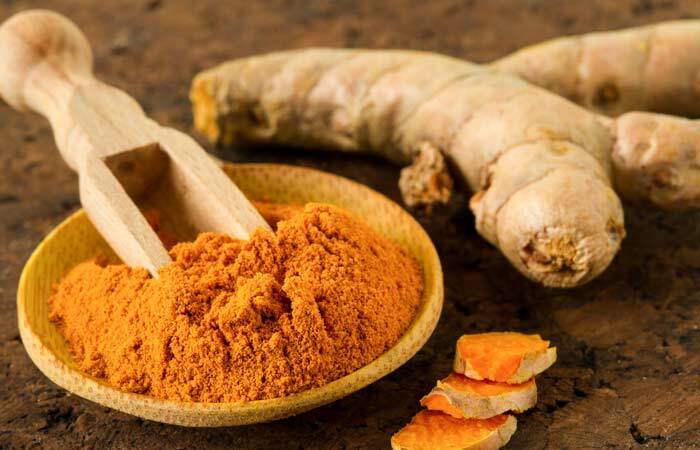 Regular application of turmeric is the best way to get rid of stretch marks. 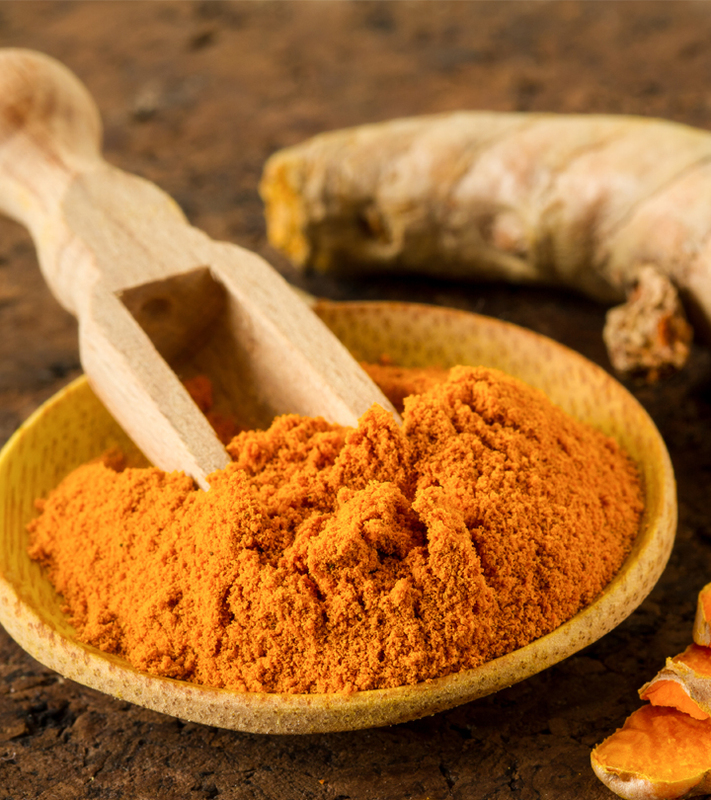 Turmeric is full of antioxidants and also has anti-inflammatory and skin-lightening properties (21). Regular application will reduce the stark difference between your skin and the stretch mark scars. After a few weeks, you will also notice your stretch marks fade away to a great extent. Take a few drops of the oil and apply it on the stretch marks. 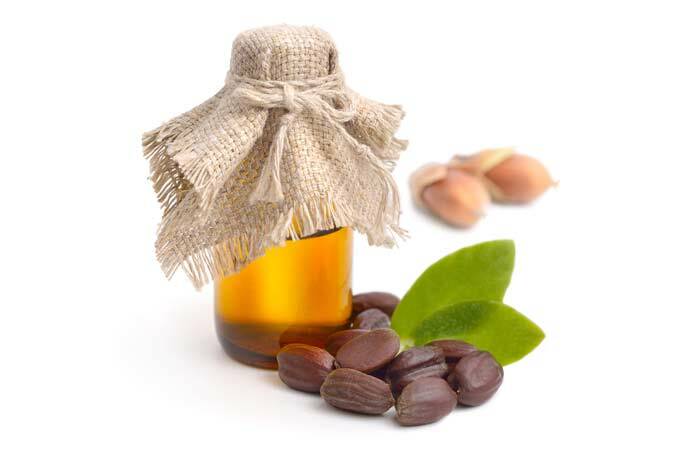 Jojoba oil has anti-inflammatory and skin healing properties. It is recommended that you start applying this as soon as the stretch marks start appearing. This will prevent them from progressing further. It will also nourish and heal your skin and stimulate the growth of healthier new cells (22). Apply a few drops of this oil on the stretch marks in a circular, massaging motion. Repeat the application twice a day. 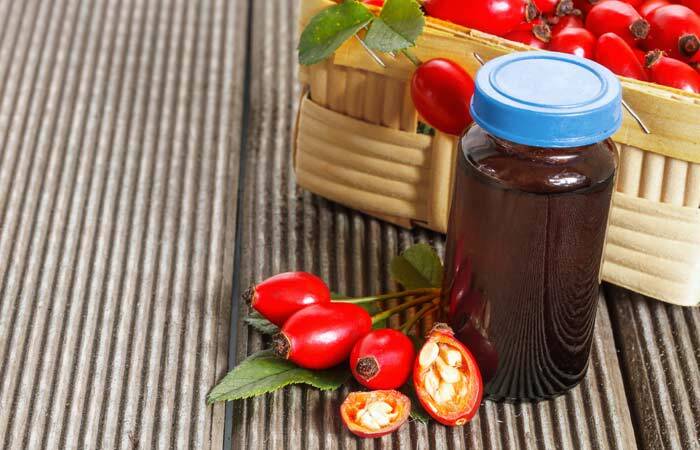 Rosehip oil supplies the skin with antioxidants and vitamins A and E, which enhance collagen production. The fatty acids present in it increase the skin’s healing capacity and reduce stretch marks and other scars (23). These are the best home remedies to get rid of stretch marks. Include them in your daily routine to prevent stretch marks from appearing and also fading away any marks that already exist. Drink plenty of water because the skin tends to lose its elasticity when it is dehydrated. Have a nutritional diet. Eat skin-healthy food to ensure your skin gets the requisite nutrients to heal and recover. A good diet will help the skin remain healthy. Now that you know how to get rid of stretch marks naturally, let us know if you’ll try out these remedies. Do you know of any other remedies for stretch marks removal? Share with us in the comments section. 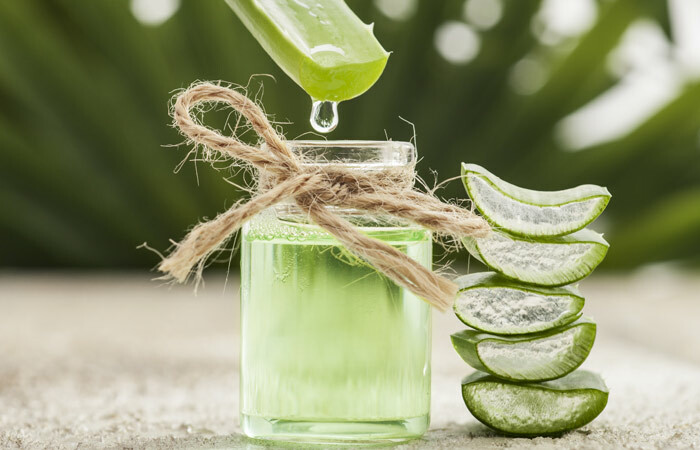 How Should You Use Aloe Vera To Treat Stretch Marks? Is Coconut Oil Effective To Treat Stretch Marks? This Is All You Need To Get Rid Of Stretch Marks. Yes, It's True!